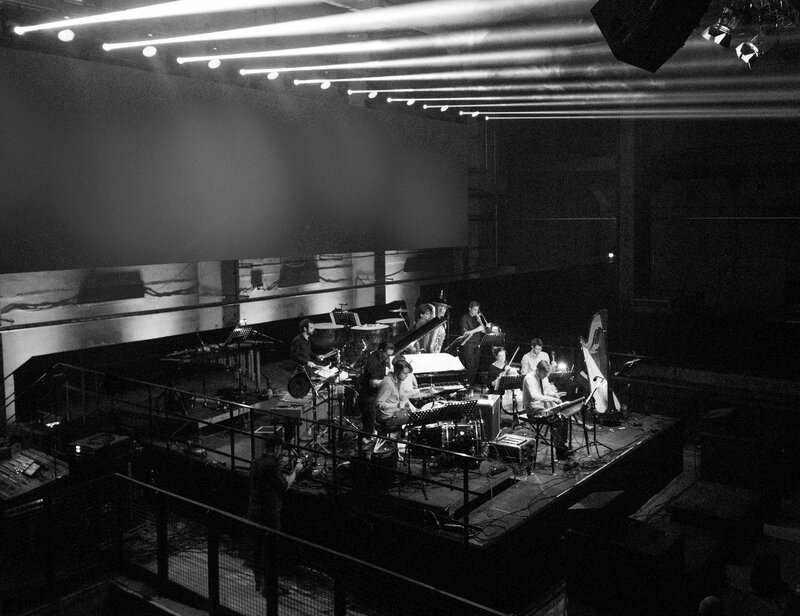 As the headlining act of the last night of the recent Berlin Atonal festival, the Brandt Brauer Frick Ensemble was a definite highlight among a lineup that was not short of amazing performances. 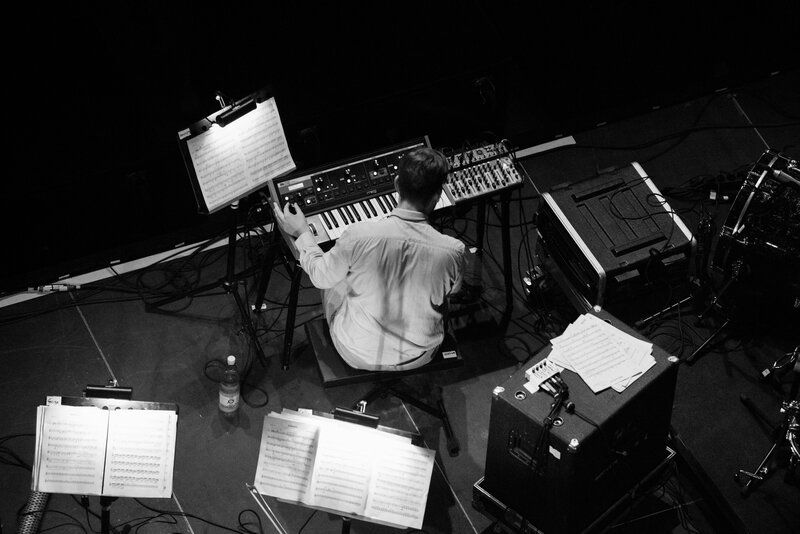 The keys-electronics-drums trio – augmented by seven classically-trained musicians – brilliantly capped off Atonal’s six nights of adventurous music with cleverly refined instrumentation and infectious rhythmic interplay. We met up with Paul Frick and Jan Brauer a few days ahead of their Atonal gig for a chat about the creative process, contradicting expectations and crispy synths. Your music occupies a space where a few seemingly conflicting aesthetics, styles and techniques intersect. Dance music and classical music, music played by hand and sequenced music, acoustic instruments and synthesized sound, high-brow culture and club culture – these pairs are commonly thought of as opposites. How conscious of this are you when you're making music? This is probably something we thought about more in the past because when we actually met for the first time we already knew about each other’s backgrounds and our aim was to use mainly acoustic instruments. Then there came a moment when we realised we had a certain style that had come about and I guess from then on we didn't think about it that much. It's more that when we start our pieces – which are mainly improvisations in the beginning – we have the feeling that anything goes. So for us it's more that we want to make use of this huge palette of technical possibilities, like using a grand piano, which is an instrument that has been developed over centuries to be what it is now and to use new techniques. We just find it really inspiring how the different ways of working can be combined and woven together. Recently, we made a track for our own label and on that track I think there is one real hi-hat but the rest is just analogue synthesisers, so we didn't really intend to become a group whose trademark is to use only classical instruments. It was never really the case anyway since we’ve always also used analogue synthesizers – we like to contradict what we're known for. In general, we think that what's expressed through the music is much more important than the means that we use. 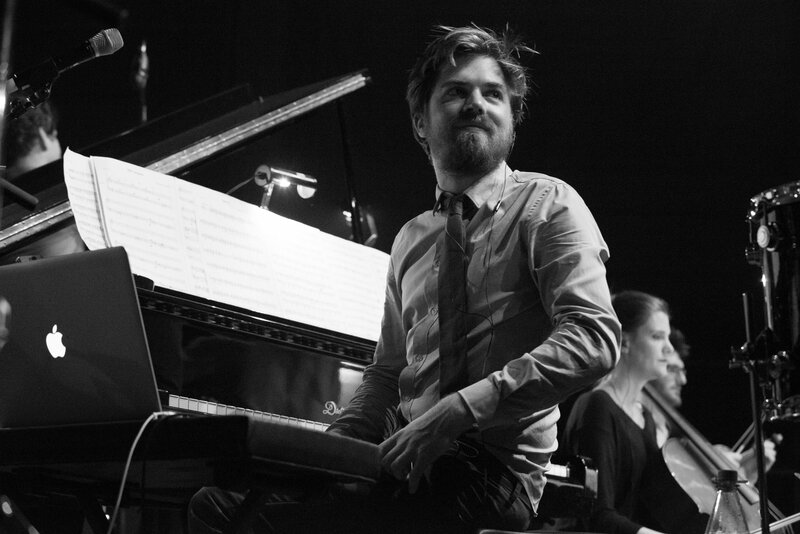 We ourselves are interested in all these different things – for us it's not a contradiction to make techno music at home and then go to a classical concert in the evenings. There's no contradiction in this and from all the different stuff we see every day, when we go out or when we check the web or go to concerts, all the influences come together by themselves and it's not so much a conscious decision to mix together some contradictory stuff. I think nowadays a lot of interesting music is rather a hybrid. In certain musical projects this 'hybrid' musical element is sometimes more on the surface. Crossover, fusion – these are dirty words in some quarters. Of course we reject these words like crossover and fusion for our music because when techniques or knowledge or whatever cultural achievements come together, it can happen on so many levels. I think with Brandt Brauer Frick we let them come together on a really detailed level in order to really let the different materials communicate. So are you looking for elements that will contrast with each other in interesting ways? Or are you searching for commonalities between different eras and styles? I’m thinking in particular about how your music harkens back to the overlapping rhythm patterns of 1960s and 70s Minimal music, which was itself a kind of precursor to the loop-based nature of Techno. For us so much was in the air anyway, and as you said we used the commonalities that are obvious. They are technically there, you just need to use them. Between a lot of music you have these common points that are there and you just need to make the connection. I'm not saying we are the first ones to make that connection between Minimal music and Techno, that would be absurd, but still sometimes we also use the contrast. Recently, for our last tour, we bought some great analogue synths like the Roland Juno 106 and the SH-101, stuff like that. Especially the Juno has, I don't know, we just can't get enough of it. It's so crispy and this often creates a layer or element of the music that doesn't adhere to our usual style, but we really enjoy the contrast. And it's huge. What comes out of this thing is like a huge sound and you always have to cut some stuff away. And today most other people are adding bass frequencies to their synths and stuff, and here you really have to cut stuff away otherwise it's too much sound. Maybe that's a good transition to talk about your process of composing, recording and then maybe transferring that to a performance situation. The main thing is that we meet here in the studio and start up something new, and basically we always try to keep it a little different how we start or how we do stuff. Most of the time somebody comes up with an idea or often we’ll start with a microphone recording of drums. Sometimes we use some old beats and play along, then afterwards we’ll cut out the old beat and do a new beat for the new play-alongs. But it doesn't have to be drums. No, the most important thing is that everything keeps running all the time and that the jam session never has to be interrupted too much. I mean obviously you have to edit and you have to arrange in between, otherwise you're not going to end up with anything. But for us it's a constant jam and all the editing happens while we are playing, while we are recording, everything at the same time. The main thing is to be able to record really fast and play along at the same time, to quickly put up a microphone and record and that's it. And not prepare every recording with the whole “Silence please!" and "Now rolling!" bit – this old style doesn’t work for us. We also totally accept that the accidents of the process also become part of it. On our last album, when you listen to it on headphones, you’ll hear someone talking in the background or something like that. It's perhaps a bit of a romantic point of view, but it makes you think "OK, this music has just come out of my life". We're not a group that composes their pieces and then they need to record them. On to the contrary, we record them first and then we compose them. Be sure to check out the great videos and sounds at Brandt Brauer Frick’s website.